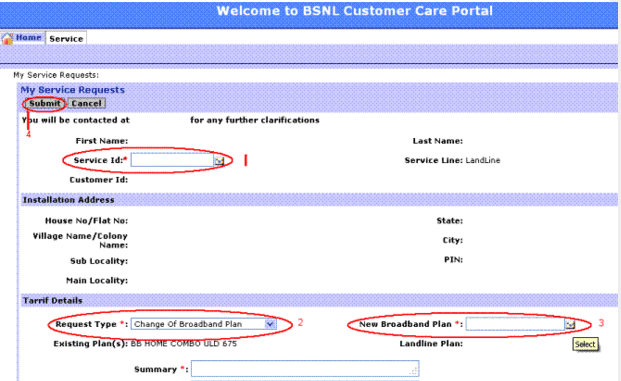 Step 1 : First you need to select your Zone and then click on the link to open the self care portal of BSNL. After that you need to register by entering Customer ID. Step 3 : Now you will receive a verification call from BSNL Customer care in 24 HRS. They will verify your details then they will activate your account and send your Username and Password on your register mail id. 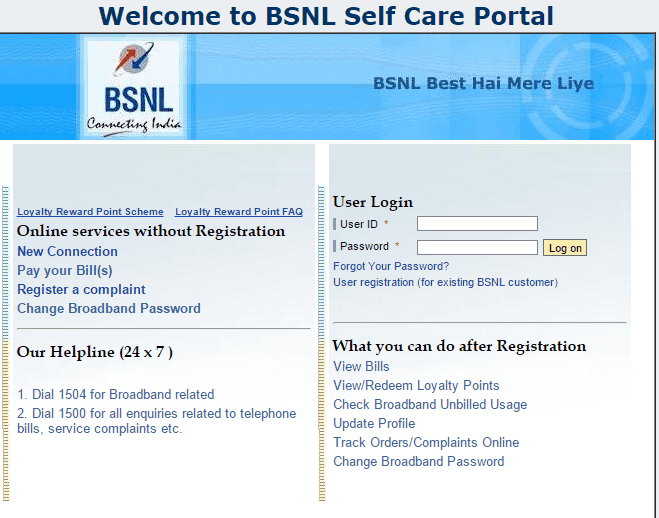 Step 4 : Now Login to BSNL Selfcare portal with your Username and password. Step 5 : Now it will open home page and at the right side of home, there is a services option. After choosing Services option, you have to click on “submit a service Request”. Step 6 : Now it will redirect you to new page of My Service request. Where you have to fill all details. Step 7 : First you need to enter your service id, next click on request type box and select the option “Change of Broadband Plan“. 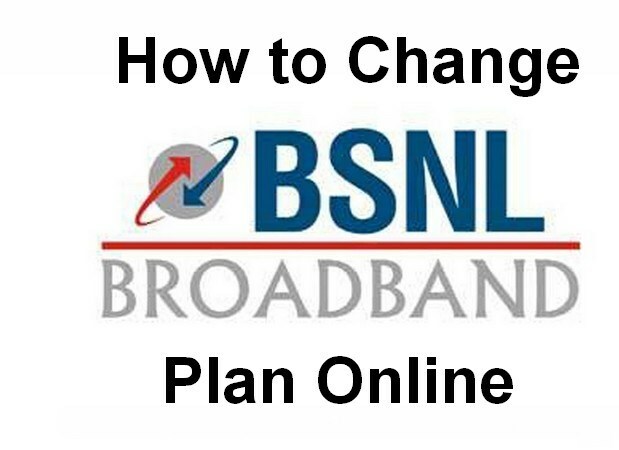 If you want to change landline plan then click on new broadband plan. After finishing the process just simple click on submit button. 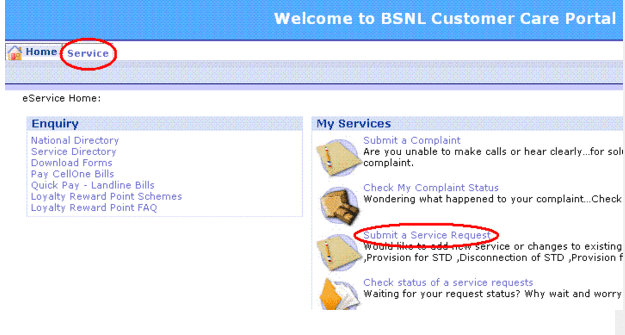 Step 8 : Now you will get conformation call from BSNL customer care service. They Will ask about your details and plans that you have changed. Step 9 : That’s it you have done the whole process. Your new plan will be activated shortly. It’s a very easy to change your broadband plan online. You need to enter correct customer id otherwise it’s not possible to change broadband plan.